Are you a fry lover like me? Do you love to chew the crunches? If you have a good appetite and concerned about your health at the same time, you must know how to make fries at your home. So let’s start with the basics, shall we? Simply a fry is a food cooked in fat. To elaborate, a fry is kind of dish where food is fried in liquid oil of different amount without any use of water. As there is no water used in the food, it is considered as dry cooking. How Many Types of Fry Dishes are There? Now let’s have a look at what’s what. The name says it all. Deep frying is frying your food fully immersing in hot oil. Despite the amount of oil, it is considered as dry cooking because no water is used in the cooking process. The best thing to cook this type of food is, no doubt, a deep fryer. But if you have an induction cooktop in your house, you can make a deep fry with a big hollow pan that can contain a large amount of oil at one time. And don’t forget to cover the lid of the pan while frying.Otherwise, oil splatters will damage the glasstop. So I recommend using newspaper or paper towels. But can solve this problem if you use stainless steel wok or cast iron wok. This wok sides will block the splatters. So no paper needed. to it. Therefore induction cooktops create less smoke and decrease the use of oil also. While you are deep frying with induction stove always set the temperature at 450F. But the temperature may be vary if you want to cook whole Turkey or chicken. It will give you the perfect frying experience. Pan frying is frying your meat, fish or vegetables with either no or a considerable amount of oil. If the food you are cooking contains enough fat to fry itself, you won’t need any oil. But if not, you can use the amount of oil you think is needed for the fry. The maximum amount of oil you can use for a pan fry is an amount that comes slightly up the side of the food. 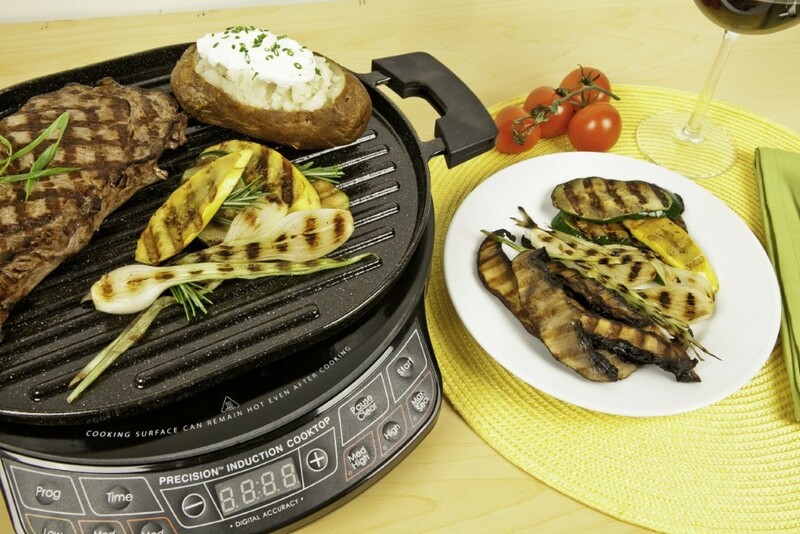 You can use cast iron or stainless steel pans for your induction to prepare this pan fry. 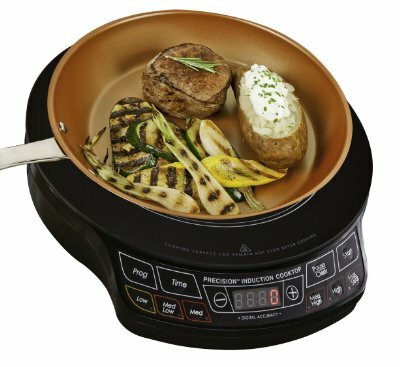 If you cooking a steak on induction cooktop you have to set temperature at 420 F. The great news is if you use Duxtop induction cooktop it will only 10 minutes to cook the steak at home!!! 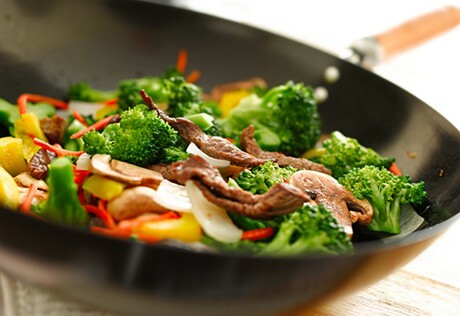 Stir-frying is the process of cooking your food in an oiled pan. First, you should put some oil on the pan and then drizzle the oil down the sides of the pan. A wok is best suited for this kind of frying. The wok is a special type of Chinese pan with its sides raised high. It’s a versatile cooking vessel. You can find induction ready woks at a shop near you. So, after drizzling the pan, fry your meat in a medium high (at 330 F) temperature while using the medium low (at 210 F) temperature setting for the vegetables. It is a type of fry that needs both a low amount of oil and a low-temperature setting. 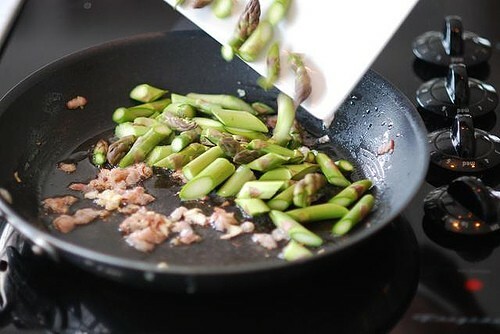 While sautéing, set your temperature at a low level and put a tiny amount of oil in a shallow pan. Then heat the pan along with the oil. Once heated, put the food in it. Stir the foods if needed. ‘Sauté’ comes from the French language. In English, it means ‘jumping’. It was probably used to describe the condition of the foods while cooking because while preparing a sauté, usually the foods are sliced thin or cut into small pieces. It seems that, to get a nice, juicy and crispy fry you just need to have a good induction Cooktop, the required pans and a sheer will to cook. That’s all that are keeping you from getting an experience of a lifetime. I have a large stainless steel pot from a gas turkey fryer. Can I use an induction cook top to replace the gas burner?